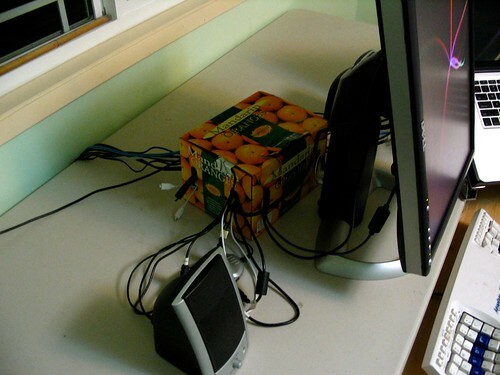 Add me to the list of people who think that a cardboard box with holes in it is a superb way to organize cables. 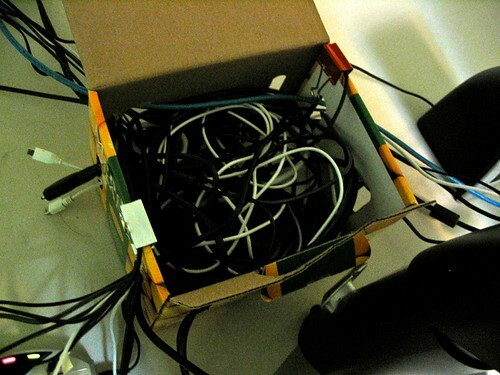 It's not going to be fun hunting through this box to pull out the laptop adapter. posted by Jonathan at 1/29/2011 11:47:00 p.m.